Given the interdisciplinary nature of colonial studies, PEI has created lines of research capable of articulating efforts in this direction. Each line has a director responsible for the multiple activities and projects related to it. Detailed study of the industrial farming imports, its expansion through the viceroyal authority as well as their development and improvement. This item covers the American proper dimension of the empire, considering that the news about arrival of products will be collected through all the territory. Review of the complex trade networks concentrated from the Virreinato del Perú (Viceroyalty of Peru) to its provinces and cities. In this crucial point the study of the Empire administrative texts and the review of the notarial documents of various nature about contracts, purchases and sales of its main provinces. Delimitation of the main agroindustries, from the first stage of adaptation of the crops to the evolution of an integrated production. The main crops studied will be: olive, grapes and wheat. Entrepreuneurs of the Viceroyalty. Likewise portraits of the main agents of the production of these crops will be drawn. Both republics, the Spanish and the Indian, will be examined in order to determine the weight that certain individuals had in the creation of this booming agroindustry. Edition of primary documents. Given that this item has been scarcely studied during the colonial period, it is importantto edit the manuscripts and printed documents related with the life of its principal agents as well as with the product trade itself in its different phases of production. From the technological and biological transfer of the first moment of the conquest until the dissemination of the ideas of the scientific revolution of XVI and XVII centuries, it exists a huge territory to discover. This line directed by the physicist Luciano Stucchi promotes research about the edition of scientific treaties as well as studies about the dissemination of ideas and technology of the American viceroyal domains. Clío indiana is the research line devoted to the study and edition of the chronicles, considering both the Indian primogenial chronicle as well as those that belong to the colonial consolidation, related to the American viceroyalties. In addition to the chronicles’ text fixation, the various studies about multiplicity of topics studies, will be taken for consideration. Edition of the chronicles that lack of an appropriate critical instrument for the better comprehension and inquiry for information. Digitalization of manuscripts and printed supports of the chronicles. Un cronista entre dos mundos. Fray Agustín de la Madre de Dios y la historia del Carmelo Mexicano. Se busca reconstruir el proceso de investigación documental realizado por Fr. Agustín de la Madre de Dios, único cronista de la Provincia de San Alberto de Carmelitas Descalzos de Nueva España, para elaborar su historia provincial titulada Tesoro Escondido en el Monte Carmelo Mexicano… entre 1646 y 1662. A partir del descubrimiento y análisis del archivo personal del cronista, se buscará aportar información complementaria –que no fue colocada en la versión final de la crónica– sobre el impacto cultural que dejó al interior de la sociedad novohispana mediante el establecimiento de ciertas prácticas y devociones. Edición crítica y anotada de la crónica carmelitana Tesoro Escondido en el Monte Carmelo Mexicano. Mina rica de ejemplos y virtudes en la historia de los carmelitas descalzos de la provincia de la Nueva España. Estudio crítico y rescate de los Apuntamientos sobre la historia general del Carmen (1647-1648) de Fr. Agustín de la Madre de Dios. The epic poetry has accomplished a very important role on the symbolic foundation of the American space. Its hybrid nature lets different text traditions to dialogue among its verses: chronicles, hagiography, geography, chorography, between others. The edition and comment of the epic poems is complemented with various catalogue and diverse tools that will facilitate its query and study. The women were active producers of knowledge in the American viceroyalties and the PEI has the firm intention of studying and spreading their writings. The vast conventual manuscript production will be specially approached by our specialists, as well as the creation of biographies of the female writers and catalogs of their works. This project, in cooperation with the Facultad de Filosofía y Humanidades of the Universidad Popular Autónoma de Puebla, prepares critical editions of biographical letters, hagiographies and different texts about Novohispanic women (i.e. of the Viceroyalty of Mexico) in the XVII to XVIII centuries. It promotes the gathering and analysis from different disciplinary perspectives of texts written by women who lived in convents, sanctorum, schools and jails, in the Viceroyalty of New Spain in the XVII, XVIII and XIX centuries. 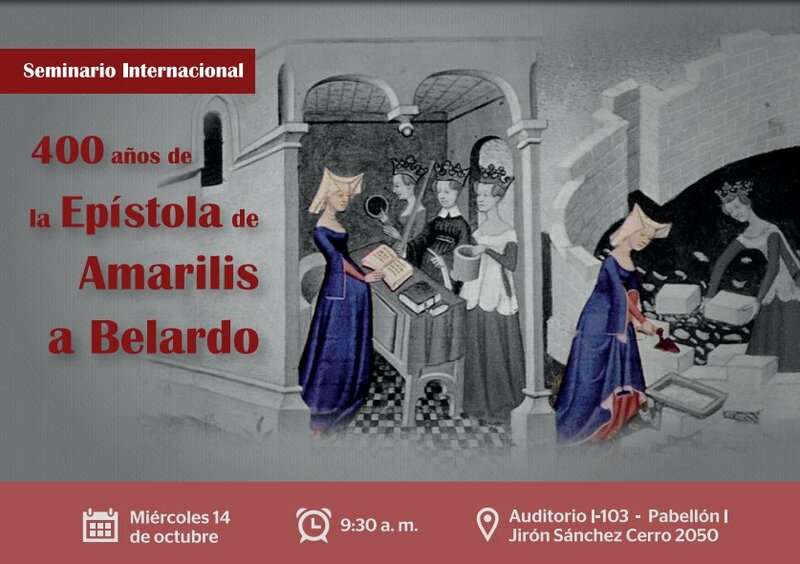 This project has also the support of the Seminar “Vida Conventual Femenina Novohispana” from the “Centro de Estudios de Historia de México, Grupo CARSO, and the Art Department of the Universidad iberoamaricana, Ciudad de México. Historical, political, artistic moments and expressions of power are studied, which are reflected in the accounts of royal juras, triumphal arches and funeral pyres. The analysis of the texts and the reconstruction of the historical periods allow to evaluate the circumstances of the American colonies. The study of colonial texts, whose diversity assembles interdisciplinary teams, requires a special care for its fixation and subsequent interpretation. Philologists with experience in Golden Age and colonial texts integrate this group intended to think on the methodology, establishing the best criteria for the edition of these texts and the training of professionals in these areas. Taking as a starting point the study of European recorded sources of viceregal art, this line of research seeks to identify both the continuities and ruptures presented by the American viceroyal visual arts with the European visual arts developed between 1450 and 1850. This line of research goes as far as urbanism and architecture as for sculpture, painting, and applied arts. Support for the Project for the Engraved Sources of Spanish Colonial Art. Creation of digital photographic archives, both of European graphic art and American viceregal art. Organization of exhibitions and conferences related to this line of research. Digital and printed publication of studies related to this line of research. Organization of courses, workshops, and seminars aimed at training researchers to develop this line of research in the future. Support for efforts to preserve and recover American artistic heritage. The working group, whose headquarters is the Institute of Historical Research of the National Autonomous University of Mexico (UNAM), is focused on the study of the various religious manifestations and practices associated with them during the viceroyalty of New Spain, from a multidisciplinary perspective. In particular, he has dealt with the vicarious eschatological doctrines, as well as the New Spain imaginary around life after death and the existence of sites in the Christian “beyond”. At the moment, it is focused in the investigation of the devotions linked to saints or celestial figures, from the use of varied primary sources. Gisela von Wobeser y Enriqueta Vila Vilar (eds.) Muerte y vida en el más allá. España y América, siglos XVI-XVIII. México, UNAM-IIH, 2009. Gisela von Wobeser. Cielo, infierno y purgatorio durante el virreinato de la Nueva España. 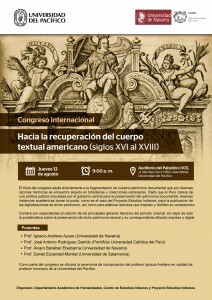 México, UNAM-IIH, 2011. Gisela von Wobeser, Carolina Aguilar García y Jorge Luis Merlo Solorio (coord.) La función de las imágenes en el catolicismo novohispano. Gisela von Wobeser. Orígenes del culto a Nuestra Señora de Guadalupe, 1521-1688. Gisela von Wobeser (coord.) Los prodigios de la Omnipotencia y milagros de la gracia en la vida de la venerable sierva de Dios Catarina de San Juan. Tomos I, II y III. Edición anotada. Esta línea de investigación estudia la historia intelectual en los virreinatos americanos del Imperio hispánico. Por una parte, se enfoca en los diferentes actores de la vida intelectual virreinal (virreyes, letrados, obispos…), a sus espacios (corte, ciudad, universidad…) y, asimimo, en las modalidades de sus relaciones (mecenazgo, clientelismo…). Por otra parte, examina las producciones intelectuales, su modo de difusión y circulación, su impacto a través de actos concretos como las polémicas. Finalmente, la recepción de las diversas ciencias, aunque más ardua de indagar por cuestiones heurísticas, constituye una última vertiente de investigación. En términos metodológicos, esta línea suscribe la necesidad de una lectura imperial, promovida por la Historia transatlántica. Asimismo, se apoya en herramientas como el juego de escalas, el estudio de redes y el concepto de trayectoria. Edición crítica de textos impresos y manuscritos, curaduría digital. Elaboración de un repertorio de pasquines y libelos indianos y ediciones criticas de los mismos para constituir un acervo de la polémica virreinal. Organización de coloquios y congresos. En 2019, “Traducciones, transferencias en América, siglos XVI-XVIII”. Promotes the link between humanistic research and computation (technological and digital tools), with special emphasis on the development of projects and initiatives that contribute to education and scientific dissemination of the American viceregal past. Promote communication and joint work between professionals in the humanities, technologies and the digital world. Promote learning and the use of platforms and digital tools for research in the humanities. Promote and develop Digital Humanities projects among the different research lines promoted by the Proyecto Estudios Indianos. Develop digital resources for education. Lima yesterday, Lima today: digital platform that takes advantage of geolocation technology to share information in situ about historic areas of the city of Los Reyes de Lima, which are currently appreciable. The encounter of languages ​​that occurs from the sixteenth century in America gives way to a series of processes and phenomena that portray very well the linguistic vitality of participating speech communities that account for the verbal wealth of the Indian world. The very life of a society, in all its spheres (cultural, scientific, political, educational), is reflected in the language and social flow of human groups is represented in it. This line of research will be devoted to the task of developing the first historical linguistic map of both the Amerindian languages ​​as well as the Neolatin varieties used before and after the independence processes. The text and iconographic study of the mistic dimention of the American religious people will be approach by different specialists. The edition of texts as well as the creation of iconographic repertories are its main objectives. The theatre in the New World represents a scenery in which are shown both the official vision of the theological and political ceremonies of the Empire of the Austrias as well as the more creative expressions in the American idiosyncrasy. This line of research receives projects devoted to explore the wonderful diversity of colonial plays from the XVII to XVIII century. Lope de Guevara, Vélez de Guevara and Nicolás de Piamonte are names that are still mentioned in some villages of America. The dramas of the moors and the christians represented in all Latin America keep the Golden Age texts of these classical authors alive. This research line, openly interdisciplinary, seeks to safeguard through different supports (text, video, audio) the festive heritage of these Golden Age dramas introduced within the national holidays of the Andean villages. During colonial times in the viceroyalties some pieces of theatre called “Teatro Breve” (short plays) were written and represented. They did not get the extension of a Golden age comedy, so they were commonly names “entremeses (interludes, dances, parties, among others. There is a quantity of these various works that should be taken into account by the researchers of the theatre of the Golden age in its Indian versions considering their contexts, linguistic and literary elements. This line of research pursues to recollect these pieces and make critical editions that will give them back the importance and actuality they once had. Critical edition of pieces of ‘teatro breve’ written and represented during the vyceroyalties. We will start by the critical edition of three pieces of ‘teatro breve’ written by Joaquín de Oreamuno y Muñoz de la Trinidad, represented in the province of Costa Rica, that belonged to the Antiguo Reino de Guatemala, in the occasion of the festive activities in honor of the proclamation the King Fernando VII. La música compuesta en el Nuevo Mundo durante los siglos XVI al XVIII es reflejo de la diversidad al interior de las sociedades que la producen: en estos tonos, los modelos europeos confluyen con las sonoridades criollas, las voces indígenas y los ritmos africanos. La música forma parte, asimismo, de los distintos ámbitos de la vida: está en la liturgia, en las ceremonias y en las festividades de la realidad americana; es también un elemento central en los procesos de evangelización. Tonos virreinales se propone dar a conocer el trabajo que musicólogos e intérpretes llevan a cabo en la recuperación, la edición, el estudio y la ejecución de la música colonial. Facilitar el acceso a registros de música colonial a través de la creación de un archivo sonoro digital. Presentar las líneas de trabajo de conjuntos e investigadores de la música virreinal. It is a line of research dedicated to promoting studies of early application in the tourism industry. Given the heterogeneity of the American viceregal heritage (artistic, textual, architectural and, in good cultural account) will seek to encourage study aimed at creating quality content for tourism in countries that were viceroy. The textual and cartographer invention in America studies from the first writings of the XV century to the elaborated narrations of the XVIII century. This research line, that also includes the recovery of texts, aims to retrieve the cultural heritage linked to the different spaces in the American viceroyalties. 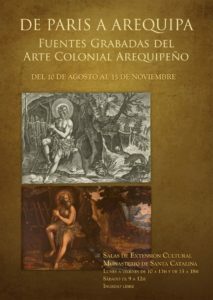 It belongs to the program “Cultural Heritage”, a group whose main objective is the dissemination of a special collection kept by the Tecnológico de Monterrey, from a critical perspective, makes available to the specialist, a collection of editions and studies of the documentary funds guarded in the Biblioteca Cervantina and the Colección Ignacio Bernal. Due to the variety of this documentary funds about the history of the Noreste novohispano (Noreastern Hispanic Region) the efforts for research are concentrated, in a preliminary stage, on the establishment of a corpus of travel, conquest and colonization of the Septentrión Occidental Novohispano (Northwestern Novohispanic Region) in the XVI-XVII centuries /today states of Tamaulipas, Coahuila, Nuevo León and Texas now in the United States of America). Critical study of documents about the discovery and exploration of the Bahía del Espíritu Santo and the Bahía de Pensacola, Texas, XVIII century (2015-2016). Safeguard edition and bilingual religious texts study of the missions of the Noreste Novohispano (Northeastern Novohispanic Region): notes for the recovery of coahuilteca and pajalate indigenous languages (2015-2016).